It seems like every year the summer sneaks up on us. It’s May, and everybody is trying to figure out what their kids will do this summer. Ah, those endless weeks of sunshine, swimming, and lemonade stands. Many of us working parents don’t just want our kids to be occupied during the day, we need it. Over the last few years, the number and types of summer camps has grown exponentially. One of the areas of greatest growth is in sports camps. These days, you can find everything from multi-sport day camps to resident and sleepaway, intensive, single sport training camps. But how do you know which one to pick? How many sport camps are appropriate for a young child? And how do you not overload your child with too many? As with most things, the age of your child is important. 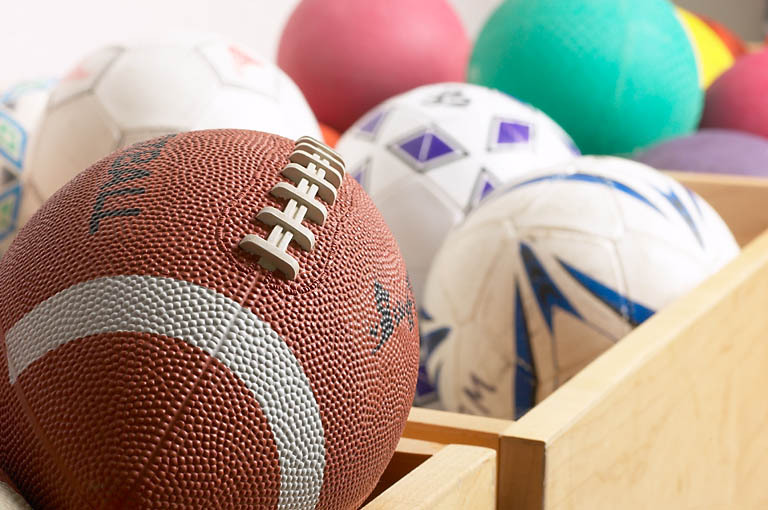 If you are looking for a camp for your six- or seven-year-old, selecting a camp that offers a variety of sports throughout the week—and even sports in the morning with art or other activities in the afternoon—is a good bet. At this age, children shouldn’t be specializing in a single sport and the introduction to several sports in a week-long camp can open her eyes to sports and activities she hadn’t previously considered. Who knows? Maybe she’ll find out that she loves volleyball and wants to play it more often! For older elementary school and middle school children who have already begun playing on school and club sports teams, one-week single-sport day camps are a good bet to hone skills in the off-season and get the opportunity to play the sport they love even over the summer. Many times, these camps come in half-day and full-day options, so you can choose what’s best for your work situation and your child. Don’t overdo it, though, by booking your child for a full-day, single-sport day camp for four straight weeks. Not only do you run the risk of burnout, but also the greater concern of overuse injuries. Lastly, for older middle school and high-school age athletes, sleepaway sports camps are a great way to combine the traditional summer sleepaway camp experience with intensive training in the sport(s) in which they have chosen to specialize. Again, many offer morning training with other afternoon activities, which enables tweens and teens to train hard and play hard, without injuring themselves by training all day, everyday, for two or three weeks. Next week, I’ll talk more about the considerations in selecting a specific camp for your young athlete and how to balance sports and non-sports camps. As a sports parent, how do you manage your child’s camp commitments during the summer? What do you look for when selecting the right camp?